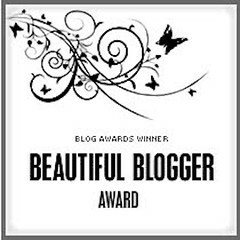 I am flattered to have been recognized for my blogging with two blogging awards: The Beautiful Blogger Award and the Inspiring Blogger Award! I know I am not the most consistent blogger (by a long shot), and I hope to be a more frequent blogger going forward. These awards are certainly motivating! Many thanks to myrealfoodfamily for this nomination! 4. Nominate 12 other bloggers and link to their sites. 1. Painting and drawing are a couple of my hobbies. 2. I love hearing people’s stories. 3. I love nature…. mountains, oceans, birds, trees. Anything nature! 4. I am fascinated by neuroscience. 5. I used to dislike public speaking and now one of my favorite things is teaching my classes. 6. I am not very tech-savvy, but I try. 7. Music is motivating for me. Thanks to each one of you for your inspiring blogs!